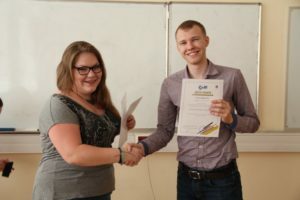 Last June, AEGEE-Moskva organised The Soft Skill School, where everyone could learn more about conflict management, time management, event management and public speaking. Events were directly connected to the Action Agenda. For this reason, they were chosen as the ACTive Local of the Month. We spoke to Ekaterina Popova, the main coordinator of The Soft Skill School, to find out more! ACT: Congratulations! 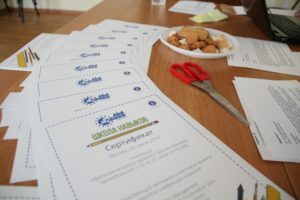 Which emotions did you experience when you got to know that AEGEE-Moskva was chosen as ACTive local of June? 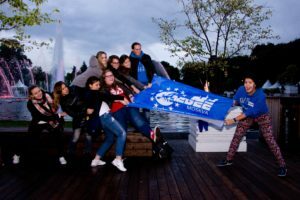 Ekaterina: We are incredibly happy! It is the first time we were nominated, so we are very proud and excited! AEGEE-Moskva was founded in 1991, we now have around 115 members and around 20 of them are active. We have two active working groups – Fundraising and PR. We also have many various local activities, we plan to organise something for the European Day of Languages, our antenna’s Birthday Party (we will turn 25 this year!) and we are currently preparing for Local Agora and of course the NWM in Moscow! Why did you decide to organise these activities? That was just a pop-up idea of our coordinator, Ekaterina Popova: why not organise a special course with workshops on soft skills? There have been several requests from our members on such workshops, so we decided to unite them in one event! The core idea was to deliver this missing knowledge to our members and other youngsters and help them become more successful. The opinions on the Soft Skills School were extremely positive: almost everyone found sessions and information useful for them, they also said it was very entertaining [she smiles]. However, the number of participants was pretty low due to summer and exam period. Nevertheless, we are already planning the second edition, which is going to be even more interesting and awesome! We are also thinking about cooperation with The Academy. First of all, we always include these topics in every presentation for new members. We tell them not only about our mission, but also about the Action Agenda and Focus Areas and ways to achieve them. We also inform our members about open calls for the positions and projects where they can help to develop these areas. Do you have any other activities related to the Action Agenda or the Strategic Plan? We have quite a lot of them. Just for example, we used to have a month for a particular Focus Area, in which active members provided sessions on this theme. Why should other locals organise activities related to the Action Agenda or the Strategic Plan? Because it helps to move in the direction of changing society. 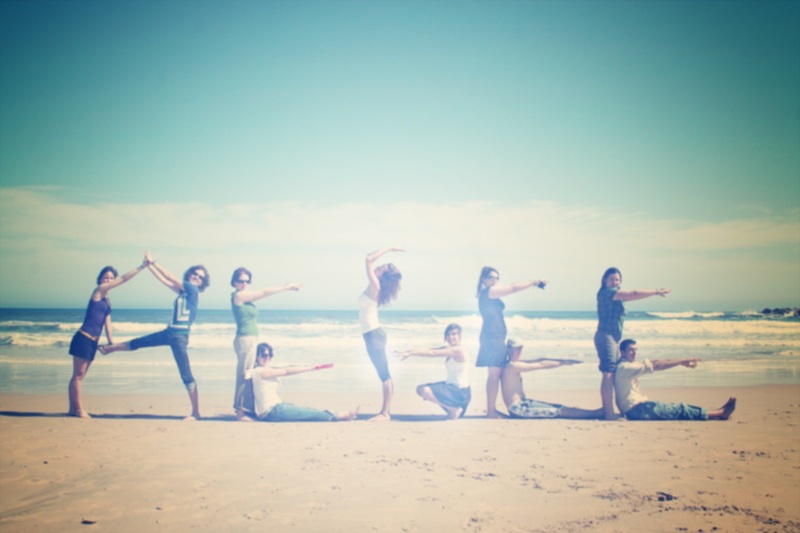 It is a tool to make activities of AEGEE more structured and consolidate the efforts of different locals. AEGEE has common goals and we need to act together in order to have visible impact. Be creative and do not be afraid of crazy ideas [she smiles] And make a great and trustful team – it is the basement for any event or project!